Book Direct No Booking or Admin Fees. 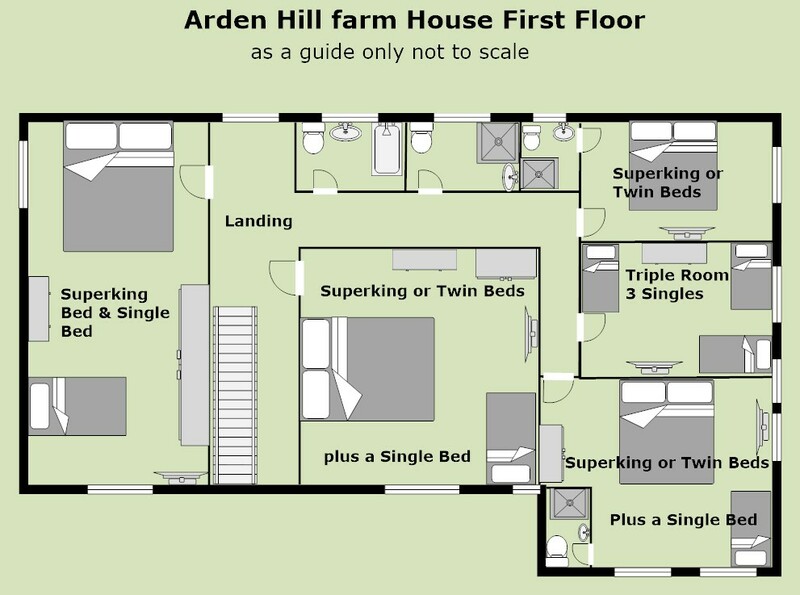 Arden Hill Farm House is only 3 miles from Stratford-upon-Avon and in close proximity to all of the Shakespeare Tourist Attractions. The historic market town of Henley-in-Arden, which boasts numerous pubs and quality restaurants is also nearby, along with Warwick, Kenilworth and the Cotswolds. A large country farm house ideally suited for groups of 10 – 16 persons for family celebrations, group holidays, special events, hen parties or any special occasion. A stunning property with 6 spacious bedrooms and 4 bathrooms. All rooms have TV and Wi Fi. Lovely lounge, with large screen TV and Sky Sports & Sky Movies, farmhouse dining room, spacious well equipped breakfast kitchen, snooker room all add to this delightful property. A large south facing patio with luxury hot tub also compliment the house, creating a relaxing lifestyle. 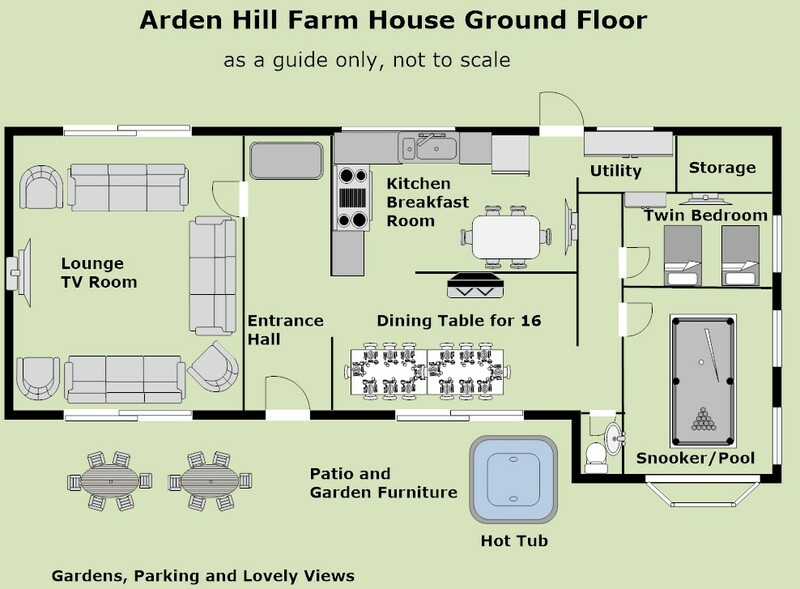 Arden Hill Farm House is a large property in a countryside setting with magnificent grounds and stunning far reaching views that must be seen to be believed. Walking is an absolute delight with an abundance of wildlife, a natural environment with historic tracks and canal towpaths nearby. There are many local pubs and restaurants nearby. Many groups like the extra luxury of booking caterers, entertainments, beauty therapists, bike hire etc. Contact Now by completing the form below or call our BOOKING HOTLINE on 07899 33 22 11.